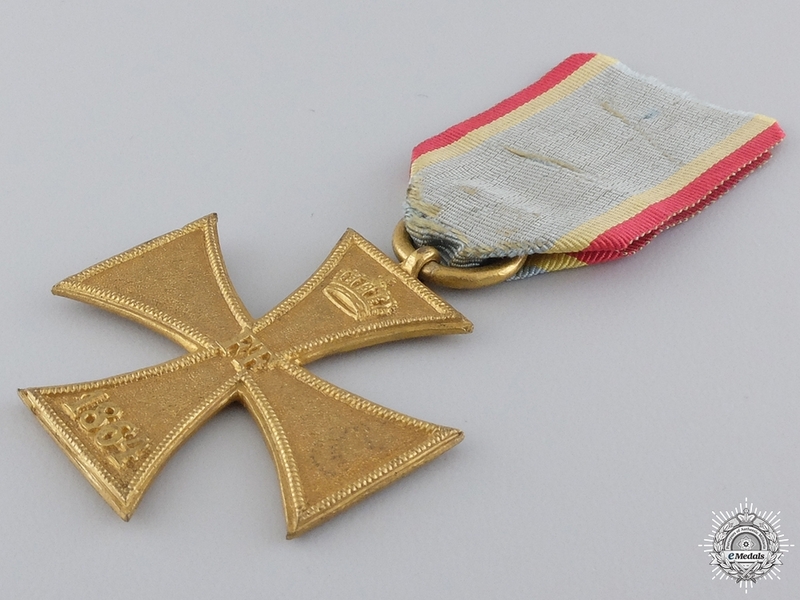 An 1864 Mecklenburg Military Merit Cross; Ladies Cross - Second Class. 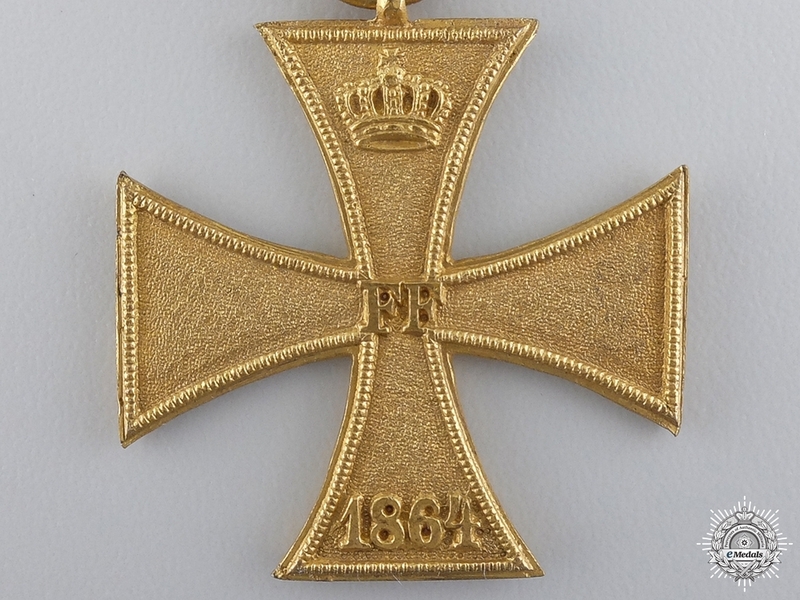 In bronze, measures 34.20x33.90mm (for Ladies). 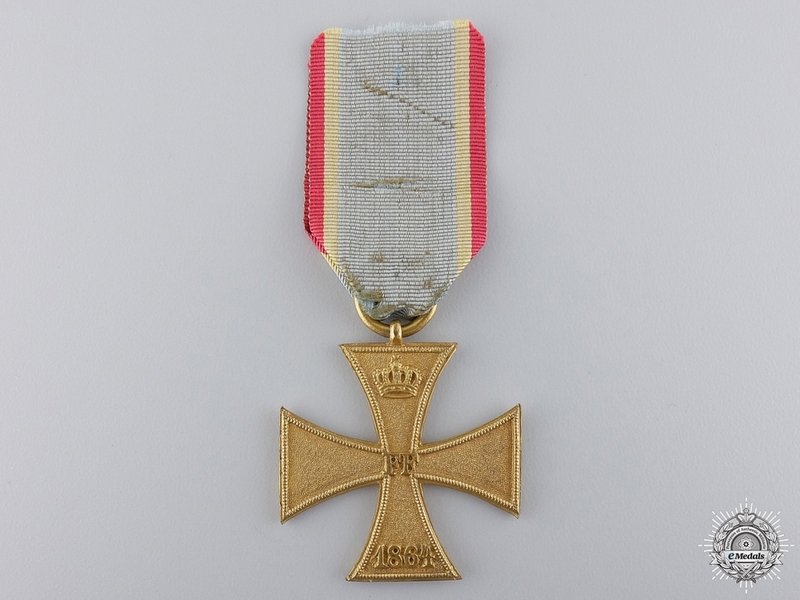 Fine quality cross with good details, mounted on original ribbon 25mm wide. 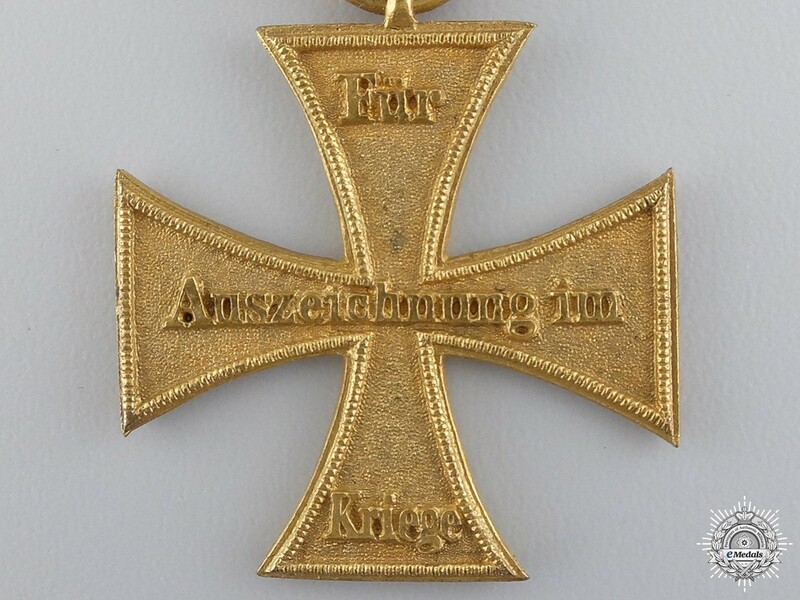 In very fine condition. Extremely rare reduced size for Ladies, standard cross measuring 40mm. 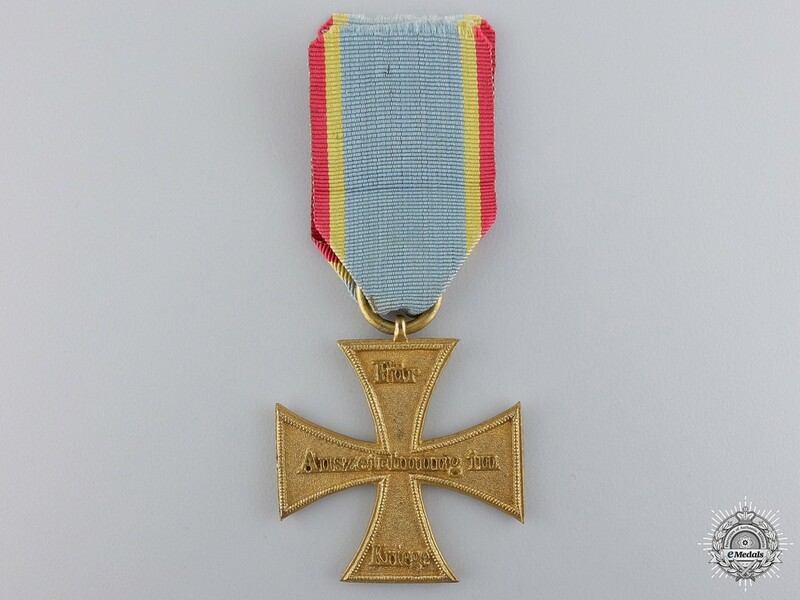 This cross, in design and purpose similar to Prussian Iron Cross, was awarded for the 1864 War against Denmark (in coalition with Prussia and Austria).